All constituents of the MEAN stack bundle are open source and available free of cost. It helps reduce development cost and contributes to the development procedures by making use of useful libraries and public repositories available free on the web. Our dedicated workforce our repositories and libraries constantly develop and maintain themselves to the correct orient. Talking of cloud compatibility, MongoDB stands as great option that was built specifically to make it easy to host the web applications on the cloud. It also adds ease of testing and maintenance. Our enhanced knowledge and development strategies arise as a result of of our successful endeavours arising from various diverse projects. 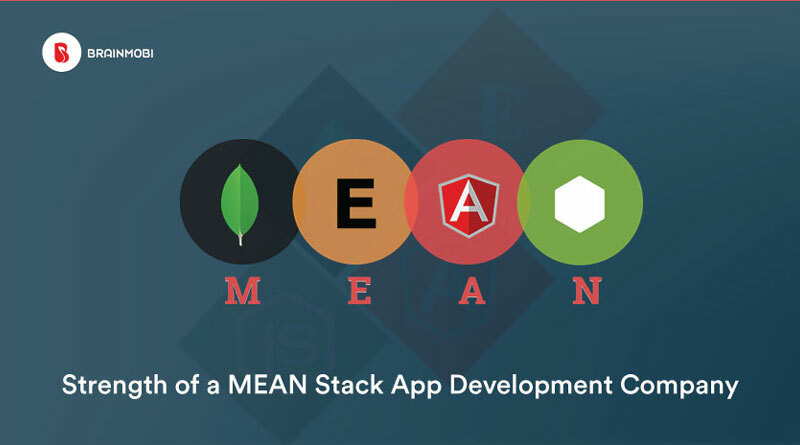 Our team of MEAN stack developers can help you fetch out the best routines in development and aligning it with your business growth strategies. If you are looking for the assistance of the best Mean Stack app development company, then feel free to write to us at sales@brainmobi.com . Ashish is a content specialist at BrainMobi and contributes towards building its business. As a keen enthusiast in technologies and software, Ashish aims to keeps its readers constantly updated with current breakthroughs and advancements in mobile domain. He aims to bridge the communication gap between coders and aspiring mobile app developers by lending them the best insights and information that could come valuable to them in terms of keeping updated with the current trends in the field of this particular knowledge. Previous Previous post: How can you win big at Customer Satisfaction with Survicate and HubSpot Integration?